We are offering Concrete Curbing Machine to our client. We Are one of the leading supplier and trader of Kerb Pavers, Our kerb laying machines KP 1200 SF is a slip form type and is designed to lay continuous kerbs of 600 x 800 mm width. 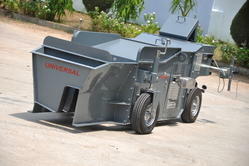 Our unit is apt for a large number of concrete slumps. The unit is easy to operate and maintain and has quick change mould design. 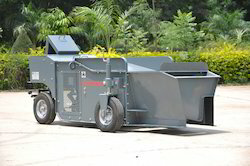 M-B-W Inc. U.S.A. manufactures compact slipform paver for kerb laying applications. This machine is suitable for laying median kerbs, kerb and gutters (channel section) and also some wider profiles.